A Museum Collection of Analogue Transmission Techniques on the mountain of Pleša (1,262m) is located at the Nanos transmission site. The first measurements of audibility in a VHF field were made with a 30W transmitter on the Nanos platueau between 1953 and 1954. Because of the potential to reach a large part of the Primorska and Notranjska regions, a Slovenian radio station began broadcasting in 1955, joined by an Italian television channel in 1957. At first only a small house was erected, and then, in 1962, a modern facility was built. In the old part of the complex, various devices for the transmission of sounds and pictures were put on display. 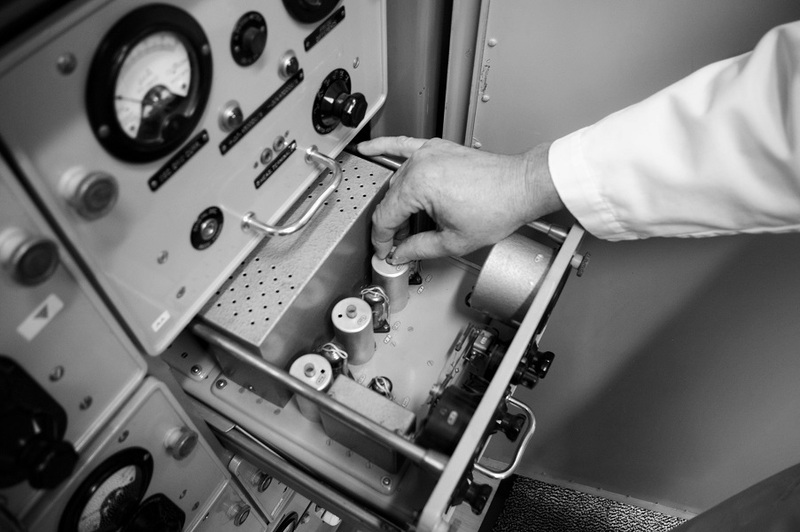 Since the results of the measurements made between 1953 and 1954 were promising, a VHF radio station began broadcasting with a 250W Rohde & Schwarz transmitter at a height of 1,245m, in 1955. In 1957, an Italian TV channel started to broadcast with a 100W RCA transmitter. The channel was picked up by the Italian transmitter Belvedere, above Trieste. The transmission tower was 20m high. Technicians working on Nanos lived in a nearby mountain hut. 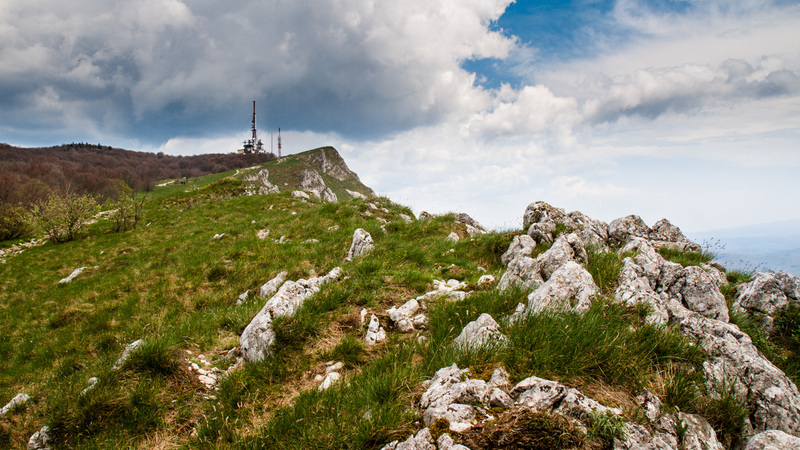 Later, they obtained a RCA microwave connection with the mountain of Krvavec, and also began to broadcast a channel of Slovenian TV within Yugoslavian Radio-Television (JRT). From 1953 to 1954, the first measurements of audibility in VHF field were made. 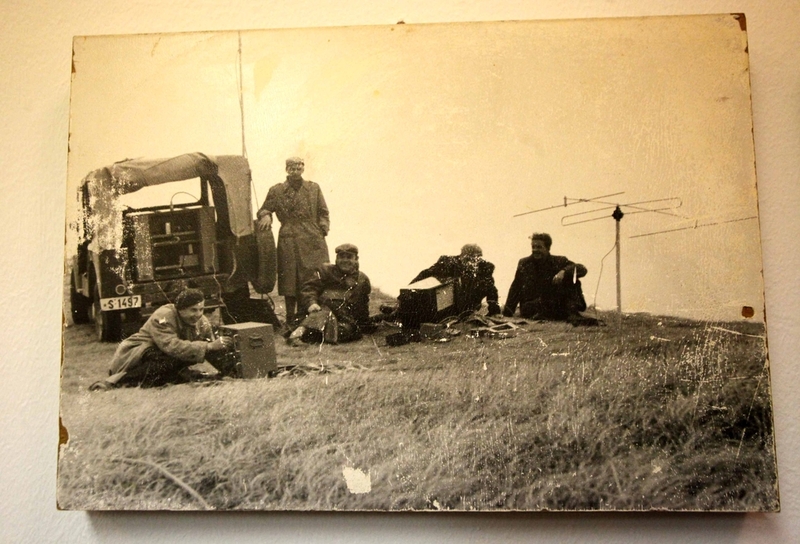 In 1955, from an antenna at a height of 1,248 metres, a VHF radio station started broadcasting, while in 1957 a TV channel from Italy began broadcasting, which in the beginning supplemented the JRT programmes (Yugoslavian Radio-Television). On 19 July 1960, in Belgrade, at the proposal of RTV Ljubljana, a decision was made to start to build a “modern facility, in which all the transmitters, a generator, a transformer station, a workshop, a garage and a room for technical staff will be located”. A transmission tower of 50 metres in height was supposed to be built as well as a 10 kV underground cable of 1300 metres in length for power supply was expected to be installed. On 15 December 1962, there was an opening ceremony of a new transmission site. Two radio stations and one television channel were broadcast. A microwave connection served as a connection between Krvavec and Trst (Trieste). A 60 kVA diesel generator was available as a reserve power supply. 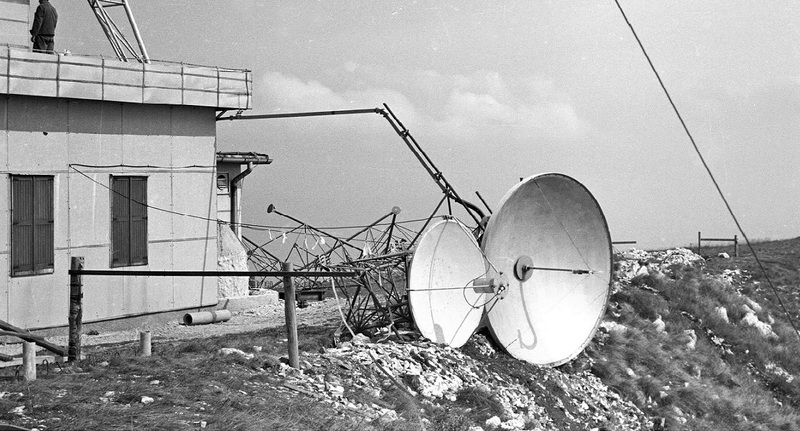 On 4 February 1969, a hurricane-force bora wind knocked over the antenna tower. Later measurements and comparisons demonstrated that the wind had blown at speeds over 240 km/h. On 29 November 1969, work on a newly built tower ended. In 1970, new FM and VHF antenna systems and dishes for microwave connections were installed. A new 3 kW Rohde&Schwarz VHF transmitter was also put to use. 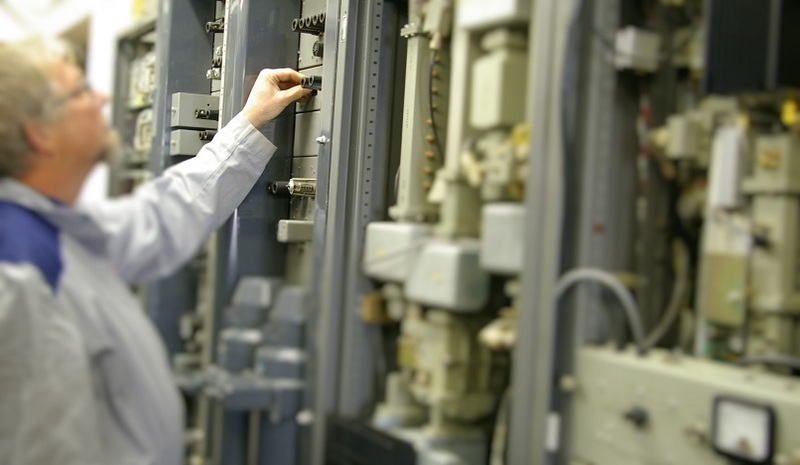 At the end of that year, a Philips UHF transmitter with a power of 20 kW with Klystrom was installed. 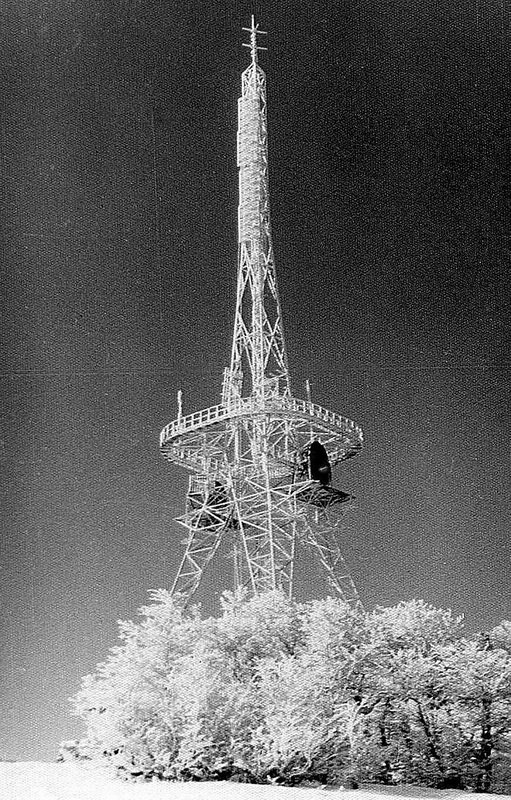 At the time, this transmitter was one of the most advanced ones in Europe, designed for stations of the Italian ethnic community living in Slovenia. On 11 November 1970, broadcasting of colour TV for TV SLO was tested for the first time at the transmitter. After installation of Phillips transmitter, we commenced with regular broadcasting of the colour test and test channel from the TV Koper studio; test broadcasting started on 28 December 1970, and regular broadcasting since 28 July 1971. In the 1970s and ‘80s, the channel network expanded to the FM spectrum; we broadcast three channels of RA SLO and two of RA Koper-Capodistria. The transmitters started to regularly broadcast in stereo. During this time, a new energy-efficient building with three generators and stronger transformers was also built. The microwave network expanded. To 1991, new lines of sights towards Slavnik, Beli Križ, Tinjan, Koper, Skalnica, Kanin and Krim were set. In 1984, a new line of sight was set, which previously had run across a very dangerous area. In 1991, the transmission sites of RTV Slovenija were attacked in Slovenia’s ten-day war of independence. The Nanos transmission site experienced two air raids. The UHF antenna distribution system as well as a large part of the waveguides for microwave connections were destroyed. Later, a new tower for radio transmitters was built and in 1992, an extension to the existing building on Nanos was constructed. In 1993, all VHF transmitters were exchanged for modern semiconductor transmitters; later, the same was done for TV-transmitters. In December 2010, RTV SLO started to broadcast TV programmes in DVB T digital technology and entirely ceased use of analogue transmitters. Some of them can now be found in the museum. 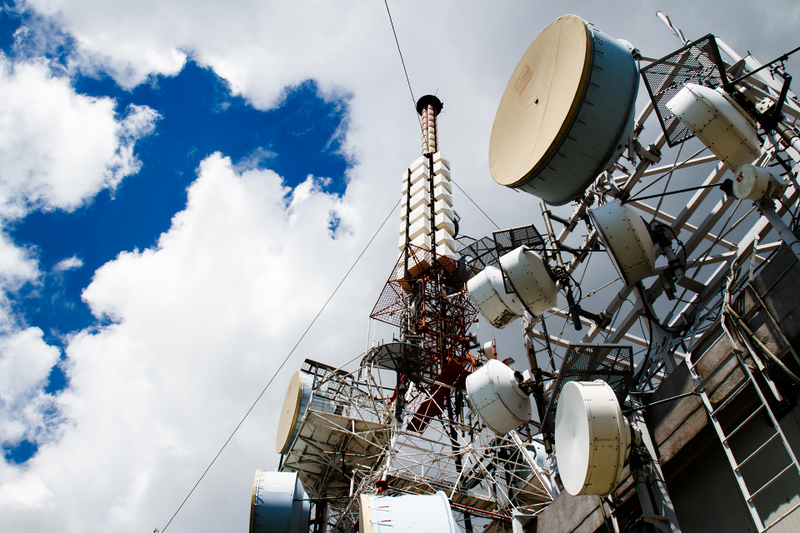 In transmission sites at high attitudes, radio and television transmitters as well as microwave connections operate in the field of high frequencies or small wavelengths. The characteristics of these electromagnetic waves are such that they are not able to travel over the obstacles and rebound from them. Thus, the transmitting antennas are placed on the peaks, visible at great distances. 5 kW Rohde&Scwarz UHF radio transmitter, used from 1972 to 1993. It broadcast the RA SLO 2 channel. 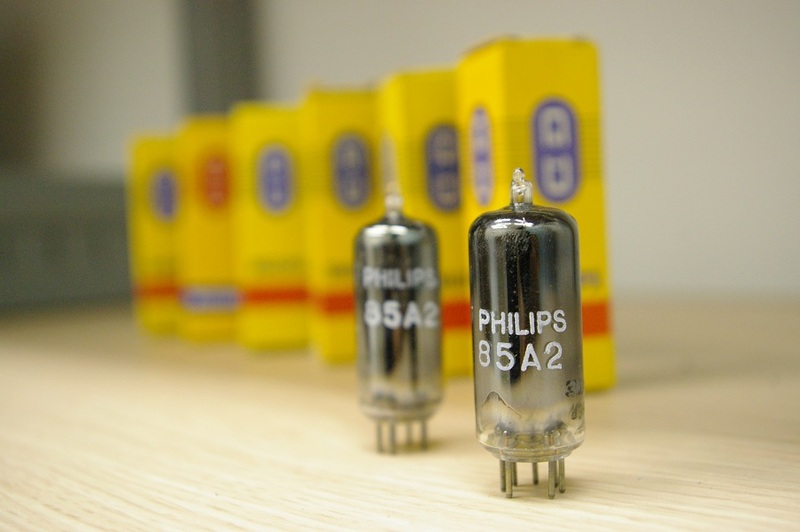 It was one of the first to be made with the modern semiconductor technique of transistors and integrated circuits. It is much smaller than its predecessors, yet sensitive to the thunderbolts frequently occurring on Nanos. A view on the transmitting hall with transmitters, which still operated as a reserve until changeover to the digital broadcasting system in 2010. 5 kW SIEMENS TV-transmitter, used from 1976 to 1999 (since 1996 only as a reserve transmitter). It served for transmission of the TV SLO 1 signal. The power stage in the transmitter was made in the IMP factory. 20 kW PHILIPS – Swedish TV-transmitter from the 1971. It broadcast the Koper-Capodistria channel. It was designed for programmes for Italian national community living in Slovenia. It was installed in the time when Italians still had not decided on the SECAM or PAL colour system. Due to the popular Koper-Capodistria TV channel, and since it covered a large part of Italy, Italians were buying TVs for PAL system in large numbers. 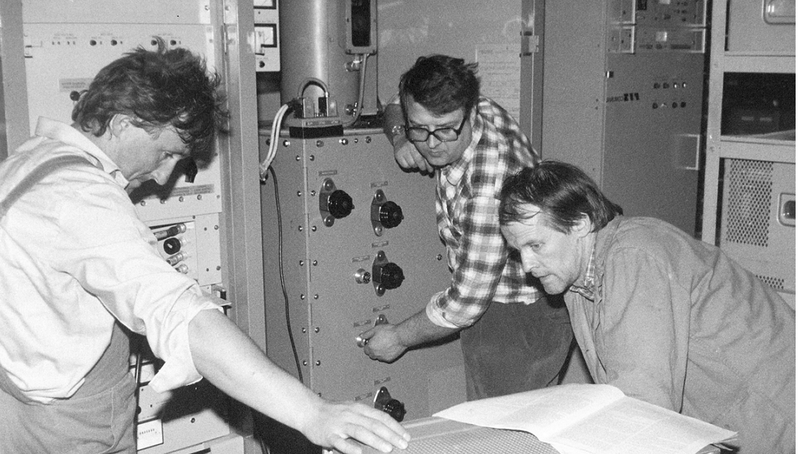 In 1990, a 20 kW IMP TV transmitter started to broadcast the TV SLO 2 channel in the area of Primorska. This was the strongest transmitter made by this producer. In later years, it was operating as a reserve, until the changeover to digital broadcasting in 2010. The Marconi microwave connection enabled the mutual connection of transmission and RTV stations from the beginning of the 1960s. 3 kW VHF ROHDE&SCHWARZ radio transmitter. It was used from 1970 to 1993, broadcasting the RA SLO 1 station. The transmitter is the last one from the series with tubes, and represents a prime example of the mechanisms and electronics of this technology.